Stopped production in 1994 and burned down in 2004 all that is left of Littlemill is an ever decreasing stock of whisky so it’s a bit of a treat to be tasting something pretty rare but here I am with a small bottle of 50.4% Twenty Five year old Littlemill. 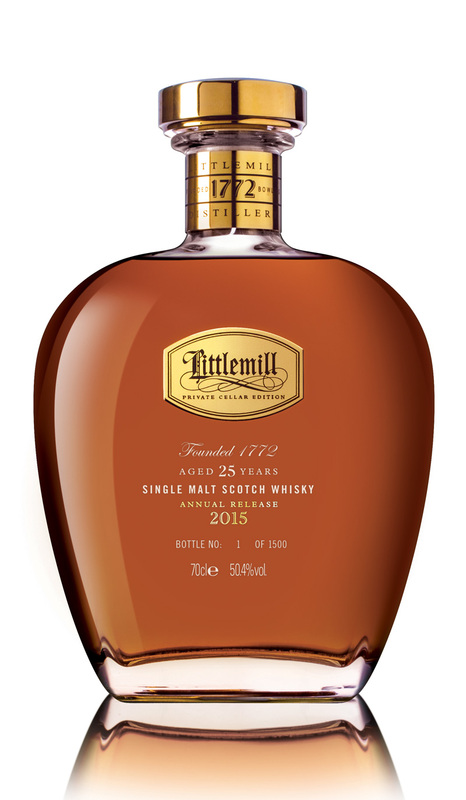 Littlemill was a Lowland distillery and I’ll be honest in that I was very much hoping for something like the two bottlings of Rosebank I’ve had in the past as both were superb, it’s just tragic that neither of these distilleries exist anymore. Nose. It’s a subtle whisky this, malty, a little hint of the first fill oloroso sherry casks it was given its final maturation in, Dried Raspberries covered in Vanilla Yogurt, and a very very light suggestion of Aloe Vera. Aniseed balls come later on. I tried this both neat and with a drop of water and it really comes alive with water. Palate. Chilli heat at first, neat it’s too powerful for me, a little water helps enormously, Bourbon straight away but after twenty minutes in the glass I get some Vanilla and sherry, grass, oak and a touch of bitter lemon, apples and or Grapefruit. Finish. This stays in the mouth forever, peppery, vanilla, and spirit all stay with me forever. Bitter Apples or Grapefruit once again show their face. So, there we have it, it comes in a beautiful bottle, a lovely box and you get a wee bit of stave too which is neat, it’s not cheap but it’s a twenty five year old whisky from a finite source so I guess it’s going to be expensive. It’s another one of those bottles that frustrates me, I know, you know and everyone else knows most of this perfectly respectable piece of Scottish history will sit gathering dust until it’s time to sell and it’s a crying shame as it was made to be consumed. You can check out Loch Lomond Group here for more information. Hope you’ve enjoyed this Flash Blog and thanks to Loch Lomond and the Whisky Wire for slinging me a very generous sample. Great review John! We both picked up on a raspberry note! Thanks man, just watching yours now.